A Projects Abroad volunteer social work project is perfect for experienced social workers on a career break or recent graduates looking for work experience. It is an opportunity for you to enhance your knowledge of the field and provide a much-needed service to communities where these services are limited. As a social worker you will have the opportunity to help manage, implement, and evaluate childcare programs in Vietnam. You will also be able to help train the local social workers and staff at a care center or work at a local NGO to help vulnerable people, such as drug addicts, prostitutes, or people with mental health problems. 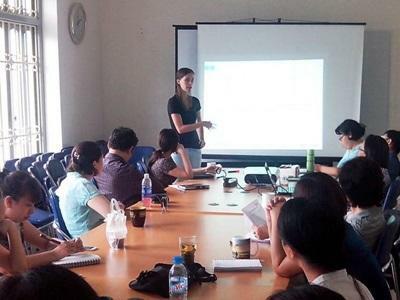 How can volunteer social workers help in Vietnam? You will be expected to work Monday to Friday for around 4-8 hours per day. This may involve working with more than one institution. You will agree on the exact work schedule with your project supervisor on your first day. This project runs all year and we are flexible about dates. You decide how much time you can spare and we will help you get the most out of it. With only a few experienced social workers in Vietnam, your time on this project will be extremely valuable. You will have the opportunity to share your expertise and ideas and this placement will give you the experience of working with different children and adults in Vietnam. Your time in Vietnam will be spent in local communities, learning about a different culture and way of life. The staff and children will want to hear about your life back home and your family and friends. We call this ‘cultural exchange’ and we think it helps our volunteers gain a new perspective on life. Safe and friendly accommodation with other volunteers close to your placement. If you have at least a degree in Social Work or a related subject and work experience then you are perfectly suited for this project. If you are interested in this project but don’t have the relevant experience, then please read about our standard Care projects or International Development Projects in Vietnam.